What mesh did you decide to go with? Looks good @PearlAozora ! Any plans to do a mesh cover? 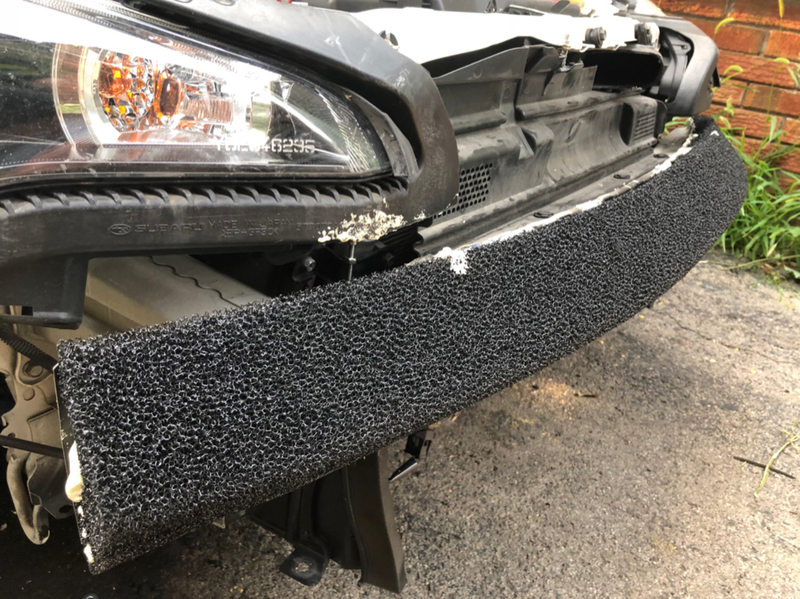 I always had the understanding that foam bumper inserts were only intended to minimize frame damage in sub 5mph impacts. Beyond that, I dont think they do anything. 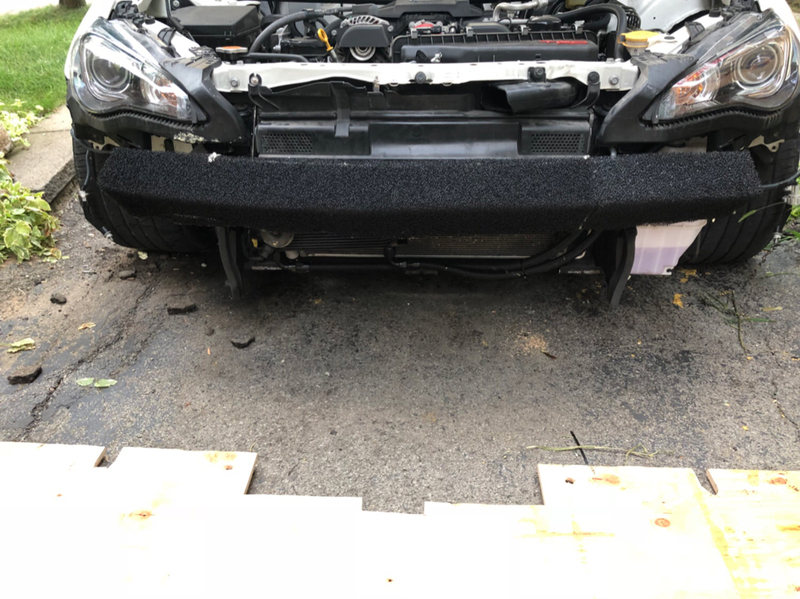 Planning to make a little aero design in there to direct air to all the right places while I do my home made chassis mount splitter next week . Could you elaborate on how it came up short? Assuming you ordered the 40" x 13" ebay sheet, which dimension came up short? 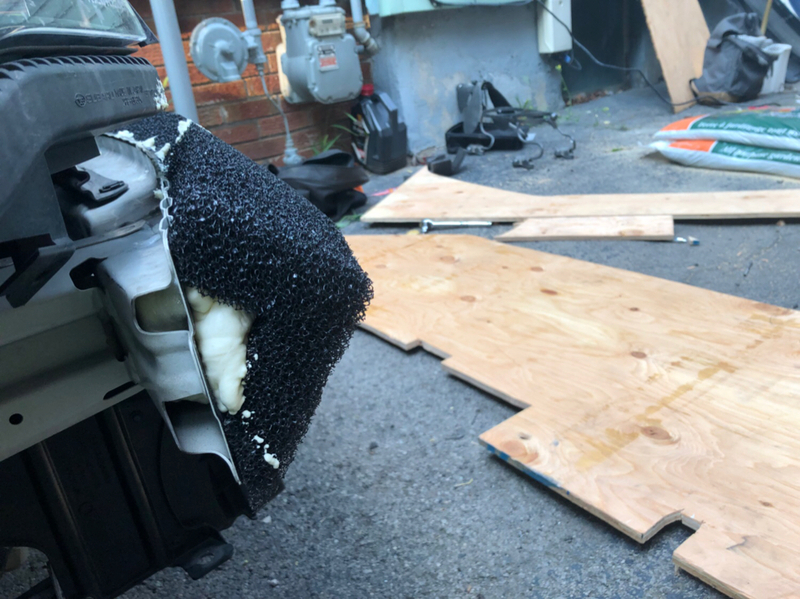 Here’s my foam solution to direct air from the flat face of the crash beam. The “top” or outermost point of the foam seals air from the top of the new grill area and directs all the air along the downward angle. Nothing crazy or to lose your head over but a simple $15-$20 solution for anyone who’s willing put the work in. Just posting some more pics of mine so I can link to them. Honestly, the foam makes it look like the mustache is still there anyway lol.